State Senator Bro. 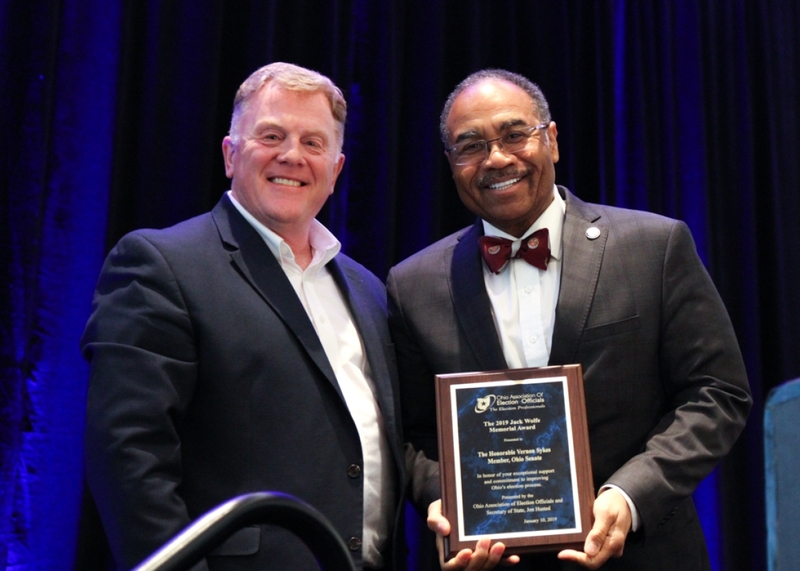 Vernon Sykes (D-Akron) was named Legislator of the Year by the Ohio Association of Elections Officials (OAEO) for his work to bring Ohioans fairer legislative districts and more meaningful representation. Senator Sykes played an instrumental role in the congressional redistricting reform that was approved by the legislature in February 2018 and was later overwhelmingly approved by Ohio voters as a constitutional amendment. Read full article on OhioSenate.Gov.